How does being a Kemetic affect your daily life? Does it? Do you do things differently than you used to because of your faith/religion? The short answer to this question is a resounding YES. There is very little of my life that has not changed radically since I began my Kemetic practices. I’ve written about this before, but it bears repeating: I became Kemetic when I was 17, in the summer before my first year of college. I finished growing up under the watchful eye of Ma’at, guided by the Lord of Truth and the Eye of Ra upon Her Throne. 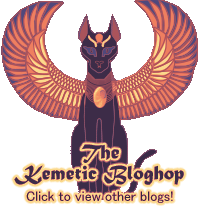 Knowing Ma’at enabled me to work at being mindful of the consequences of my actions. 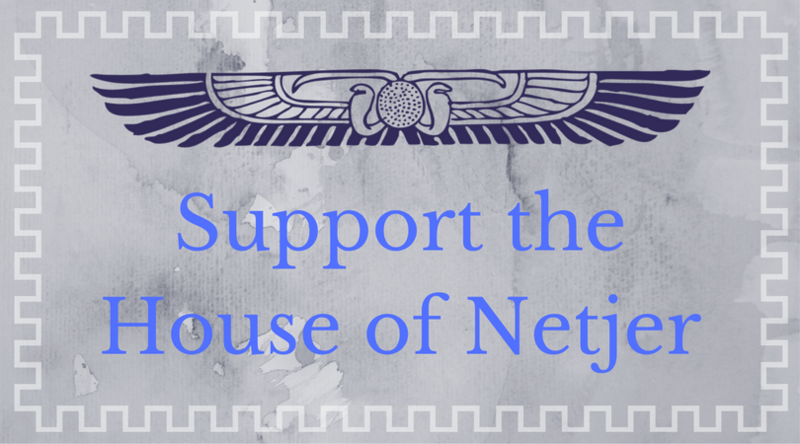 Being a part of the House of Netjer opened opportunities for me that I never would have taken otherwise — not just spiritually, but socially. I took my first roadtrip with fellow members. My first solo plane trip was to Tawy House for my Rite of Parent Divination at the first RPD weekend event. I have grown as a person because I was given a space to explore, in a way I never would have otherwise. Until going to college and becoming Kemetic, I led a narrow, sheltered life. Because of my faith, I stepped far outside my comfort zone and grew in ways I never thought I could. I have a tendency to build my life around the ability to do a daily rite, ensuring that I have enough time and space to undertake ritual. All of that is currently on hold given my current situation post-Sandy, but I am constantly trying to work out ways I can get back into my usual routine. My classes, my job, my room — it’s all laid out so that I can keep a daily shrine routine. I want to make serving the gods a priority, so I deliberately take steps to ensure I am always able to serve. When I shop for food or snacks, I tend to try and buy things that I can also use as offerings. This works out pretty well, since I tend to like the same things that my gods do (coincidence, or planning on Their part? I don’t know). I try to always have something reasonably general I can offer on hand. Normally this takes the form of tea, water, small candies or incense. I have little habits that come out in quiet ways. I offer quiet prayers to my Father when I am driving. I greet Ra when I see Him rising in the morning. I greet the moon as Khonsu when I see Him in the evening. I thank Bast for the colors of the dawn. I greet my Akhu and my beloved Nut when I see the star speckled sky. I see my Mother in the blood-red of the setting sun. I don’t feel that there is anything specific I do differently because of my religion. I don’t stop in the middle of an activity to say, “Hey wait, I’m Kemetic, so shouldn’t I (x)?” My sense of what is right, ethical or appropriate has decidedly been influenced by my gods and Ma’at, but it is difficult to say how in a concrete example. I have grown into a space where my whole consciousness is influenced by the relationship I have with my gods and with Kemet. To anyone who is just beginning a journey with the Kemetic gods, I would say: practice mindfulness of Ma’at, and She will make Herself at home in your life. If you choose small moments to be conscious of Her hand in the world, then She will change you. The longer you practice your faith, the more it will become a regular part of you life, until you have trouble remember what parts of you came before Kemet and which came with Kemet. I am fond of talking about religion as though it were a relationship. As you grow in a relationship, you move from an ecstatic experience of new relationship energy to a quieter, more familiar partnership. When you grow in your faith, it is much the same: the ecstasy falls away to leave a new, comfortable world.